Major Addresses - 1963. 1 poster: paper, black and dark yellow, 28 cm x 21 cm. Summary: A list of lectures which are to take place during Religion-in-Life Week at 7:30 P.M. in the University Auditorium. 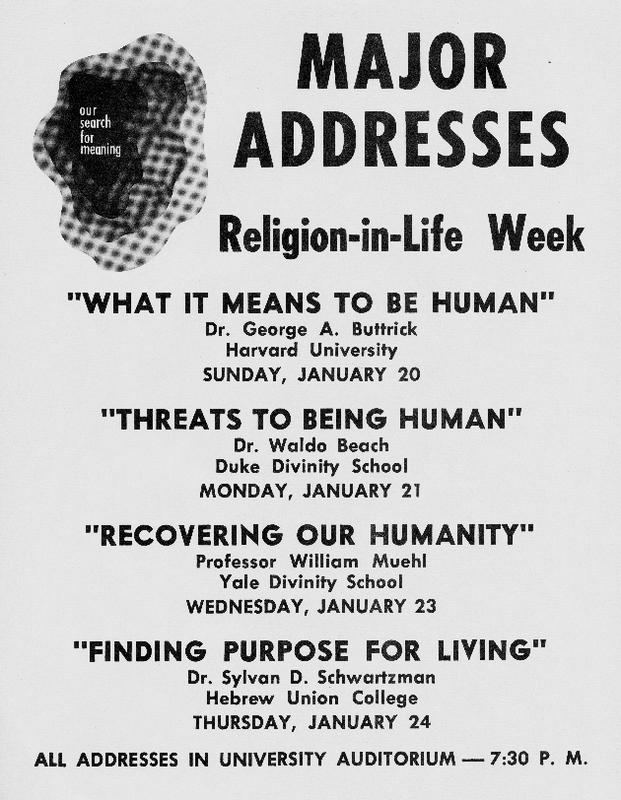 "Recovering Our Humanity"